Included is a (1) Quart bottle of Electrolyte F20. Electrolyte F20 is used for normal etching the following metals, Copper Nickel (Cupro-Nickel), Hastelloy, Inconnel, Nickel Plating on Steel and Aluminum, Nickel Silver, Tin and Tin Plate, Tungston (Pure), Zinc, and Zinc Plate. Included is a (1) Quart bottle of Electrolyte F20. 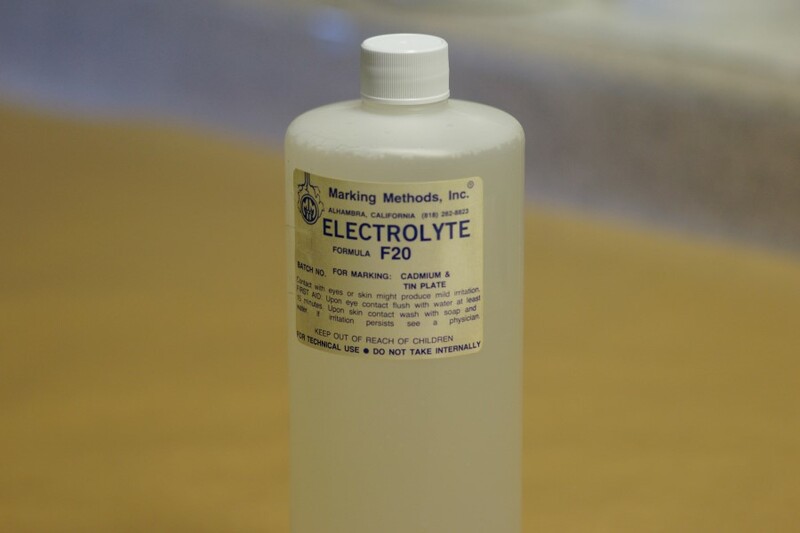 Electrolyte F20 is used for normal etching the following metals.